This aircraft is very different to the Nimrod I, in that it has swept wings, a tail wheel, a very complex steam condensing cooling system and a gas start system. The engine was more powerful also, a Kestrel VI engine being specified. The aircraft remains were recovered and donated to the RAF Museum, who held them in store at RAF Henlow. 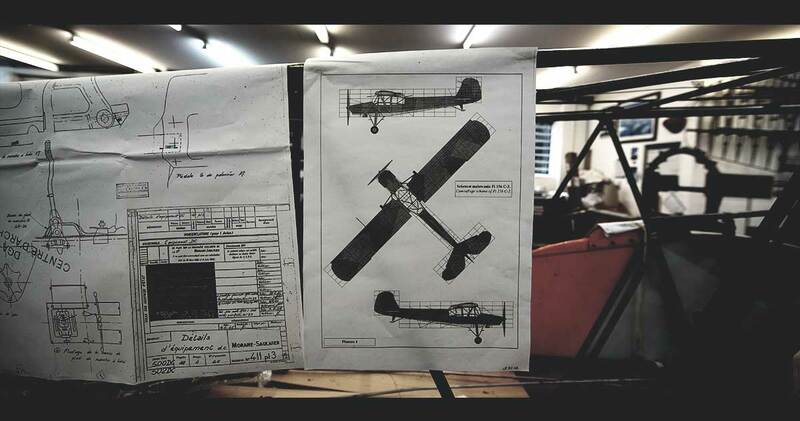 The fuselage only was sold off by the museum when the Henlow storage facility was closed, to Mike Cookman, who was constructing an Hawker Typhoon at the time, from relic parts. Aero Vintage Ltd. bought the Nimrod fuselage from him in August 1991, and later that year, the wings (including the wings from a second Nimrod that Aero Vintage acquired, but a Nimrod I) and tail unit, which by now had re-appeared at the RAF Museum's Cosford 'deep' storage facility. The engine remains with the RAF Museum. The Naval Air Mechanics School was located at RAF Lympne in Sept 1939 (as HMS Daedulus ll), and we believe the aircraft may have been sent to RAF Lympne as a ground instructional airframe. It next appears at Ashford Air Training Corps hut on the road out of Ashford leading to Canterbury, just on the outskirts of Ashford. The ATC are still on this site, which is just 100 yards from the rubbish dump where the airframe was found. An ex-cadet from that period recalls there being the Nimrod in their hut with the wings stacked behind the fuselage, but whether it came from RAF Lympne or direct from FAA stocks is not known. Price £2.4 million GBP (f.o.b. Jersey). It may seem a lot of money, but this represents a fraction of its cost as it is an extremely complex aircraft fitted almost solid with equally complex systems. With little technical information available to the restorers, Retrotec Ltd., many years of research were spent in hunting for the extremely rare parts fitted to it, with the restoration now being totally authentic; even the tyres and spark plugs were made specially. 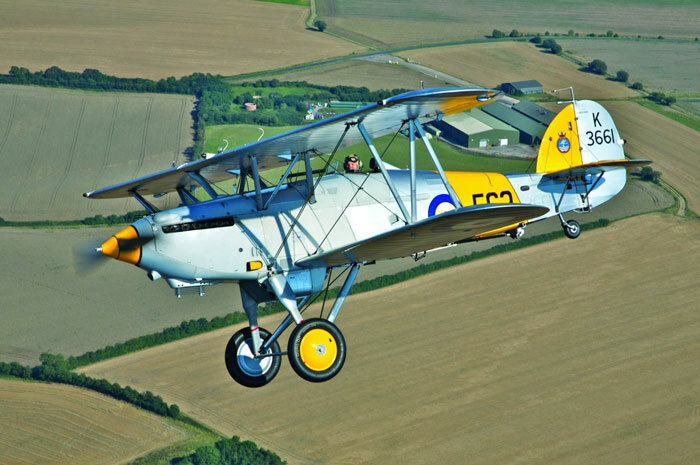 This is a rare opportunity to acquire one of the most beautiful biplane fighters in the world, and which helped to forge the foundations for the Fleet Air Arm and the famed Hurricane not forgetting the Rolls Royce supercharged V-12 Kestrel engine, which also lead on to the Merlin engine. © 2019 Aero Vintage Ltd.